Social media is now an integrated part of most of our lives. Marketing and advertising must progress, so it makes sense to advertise on social media – right? Influencer marketing isn’t a new concept and has only become a mainstream channel of advertising in the last five-or-so years. So, how does it work? 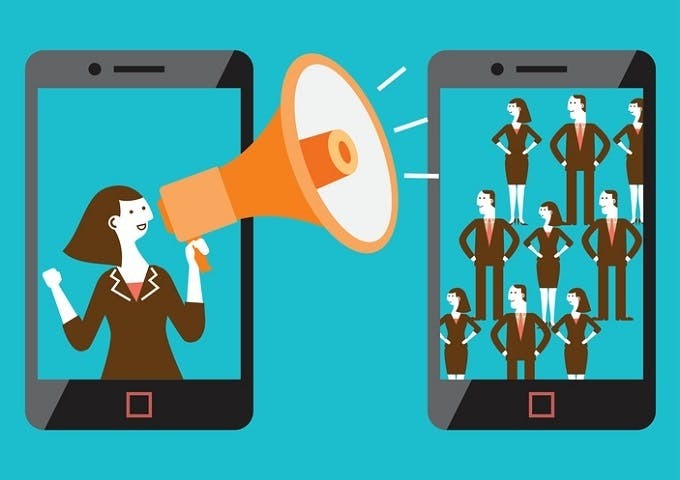 Influencer marketing is when an influencer promotes a product or service directly from a brand on their own media platforms, such as Instagram or Facebook. This, however, is not celebrity endorsement. Just 3% of people say they’d consider buying a product endorsed by a celebrity, whereas 30% say they would if it was endorsed by an influencer. Influencers are trusted by their following, which means there is a far stronger chance of brand loyalty being created between a consumer and the brand. Influencers can be effective in building awareness, creating a relationship between consumer and brand, and building a reputation for a brand. 40% of customers use ad-blocking technology. People are slowly becoming more immune to advertising, and influencers are being used to fill this gap. If a consumer follows an influencer from their own choice, they’ll listen to them more as they’re interested in them. Advertising is evolving every day and influencer marketing is a product of the recent technological advances. Record-breaking budget is being dedicated to influencer related activity, and it’s working. A Digital Marketing Institute study has proven that 70% of teens trust influencers more than celebrities, and 49% of consumers depend on influencers recommendations. By 2020, the influencer marketing industry is expected to surpass $10bn. Although the success of influencer marketing is undoubtable, it’s not always as simple as it sounds. A BSTRO study has proven that influencers with 50,000 to 100,000 followers likely have around 20% fake followers. This is misleading for brands, and they often don’t end up seeing the results they are hoping for due to reasons like this. This can be prevented through checking the authenticity of an influencers following by doing a simple observation or using an app. Other issues can occur, for example, the influencer may be involved in a scandal which will in turn effect their credibility and the effectiveness of an advertising message. Not all influencers buy fake followers, and these influencers should be trusted and cherished by brands. Most importantly, they should be given creative freedom. Influencers know who their audience are and what they want to see. They’ve more than likely spent years growing their account, which comes with a strong knowledge of what works and what doesn’t. Influencer marketing delivers a very strong ROI. On average, for every £1 spent on influencer marketing, £6.50 is generated. This makes it a very cost-effective way of advertising. It’s usually relatively simple to measure success, depending on your targets. Awareness can be monitored using impressions, engagement can be monitored looking at comments/likes/shares, and social media growth can be monitored on your own platforms. It can be hard to track sales through using influencers, however, with affiliate marketing, it becomes simpler. Giving an individual influencer a discount code, you can track how many people have made a purchase from that influencer. However, there is a catch. Under strict guidelines from the ASA, when being paid for an advert, influencers must make it obvious to their audience that it is a paid collaboration. This usually means stating in the caption or start of the blog post ‘ad’, ‘advert’ or ‘advertisement’. This is so influencers are not misleading their audience. Being the UK’s leading pet marketing agency, we make sure we’re clued up on all things regarding influencers. We understand how important it is to a lot of brands to incorporate this type of work into their strategy, and we know how to deliver the results from this branch of social media. If this is of interest to you or want to find out more, you can ring us on 01276 858 880 or email me directly on louise@petsubjects.co.uk, or you can view our services by clicking here.